Charles F. Valentine received an Economic Education Award through the New Jersey Council on Economic Development, which was presented to him by Senator Bill Bradley. VINELAND, NJ, March 22, 2019 — Marquis Who's Who, the world's premier publisher of biographical profiles, is proud to present Charles F. Valentine, EdD, with the Albert Nelson Marquis Lifetime Achievement Award. An accomplished listee, Dr. Valentine celebrates many years' experience in his professional network, and has been noted for achievements, leadership qualities, and the credentials and successes he has accrued in his field. As in all Marquis Who's Who biographical volumes, individuals profiled are selected on the basis of current reference value. Factors such as position, noteworthy accomplishments, visibility, and prominence in a field are all taken into account during the selection process. Dr. Valentine is a retired academic administrator who dedicated 41 years to his profession. Employed with the Vineland Public Schools in Vineland, NJ, his entire career, the same town where he was born and raised, he worked his way up from teaching in the classroom in 1956 to serving as superintendent in 1993, where he remained until 1997. During the course of his career, he also served as an assistant superintendent of mandated, auxiliary and federal programs, director of thorough and efficient education and supplementary programs and principal and supervisor. 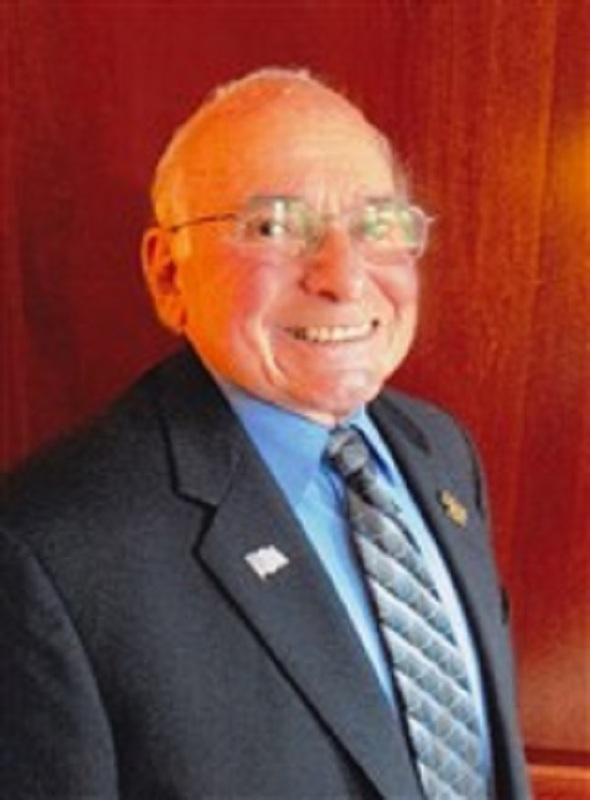 As part of his professional work, Dr. Valentine spearheaded the development of the Vineland Public Schools Gifted and Talented Magnet School; Kindergarten through Grade 12 written curriculum guides; a total system Environmental Education Curriculum; and many research and development projects including a Preschool Program for Children with Disabilities and a High School Discipline Program. In the earlier part of his career, Dr. Valentine worked as an Appalachian Trail guide and director at Camp Kimble between 1956 and 1965 while teaching full-time. He also served as an adjunct professor at Glassboro State College, now known as Rowan University, in 1974 and New Jersey City University in 1981. Dr. Valentine served on the board of directors of the Vineland Library and was an audio-visual commissioner for Cumberland County. He is a past president of the South Jersey Schoolmen's Association, the New Jersey Council of Exceptional Children, the Vineland Principals Association, the Vineland United Way, the Cumberland County American Cancer Society, and a longtime member of the American Association of School Administrators and the Alliance of New Jersey Environmental Education, and several fraternities. He is also a lifetime member of nearly a dozen other organizations, including the National Education Association, the National Association of Elementary School Principals and the New Jersey Education Association, and is a lifetime member and current board of trustees of the Cumberland County Historical Society. Extremely active in his local community, Dr. Valentine has been affiliated with multiple different organizations since 1956. He is currently a member of the Vineland Community Development of Block Grant and Budget's mayor's advisory committee since 2007, Cumberland County Office on Aging's advisory council since 2004, the Rowan University teachers' education advisory council from 1993 to 2004, the Vineland Environmental Commission from 1978, the Vineland Service Clubs Council since 1994, the Cumberland County Human Relations Commission since 1992, among others. The recipient of multiple awards over the past decade, Dr. Valentine was most proud of the Economic Education Award he received through the New Jersey Council on Economic Development, which was presented to him by Senator Bill Bradley. Other awards include a 2017 Lifetime Achievement Award from Rowan University, 1983 Vineland Chamber of Commerce Merit Award, 2005 New Jersey Environmental Education Lifetime Achievement Award, 2006 King 'I Have A Dream Award', 2010 Vineland Hometown Hero Award, and 2008 Charles Fisher Memorial Award from the Cumberland County Human Relations Board. He has notably been cited in close to 20 editions of Who's Who in America, Who's Who in American Education, Who's Who in the East and Who's Who in the World. Dr. Valentine first earned a Bachelor of Science and Master of Arts at Rowan University in 1956 and 1965, respectively, followed by a Doctor of Education from Nova Southeastern University in 1980. He is a certified school administrator in the state of New Jersey and a Diplomate in school administration. Married to his wife Anne Marie Williams for many years, Dr. Valentine now enjoys spending his free time with her as much as possible. He also loves to travel (5 continents, 40 states, 27 countries) and go hiking, take photography, read and volunteer. In recognition of outstanding contributions to his profession and the Marquis Who's Who community, Charles F. Valentine, EdD, has been featured on the Albert Nelson Marquis Lifetime Achievement website. Please visit www.ltachievers.com for more information about this honor.